Michael’s supplied the tree and supplies to create a tree of my own choice, however, all opinions stated are my own. It’s here! 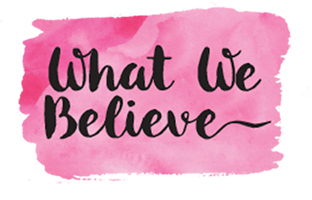 Our annual Michael’s Dream Tree challenge reveal! After many, and I mean MANY trips to Michael’s my tree is complete. Decorating the tree is one of my favorite parts of Christmas, but we have always had a real tree to decorate so the artificial tree was a new experience and I’m pretty sure I could get used to it! 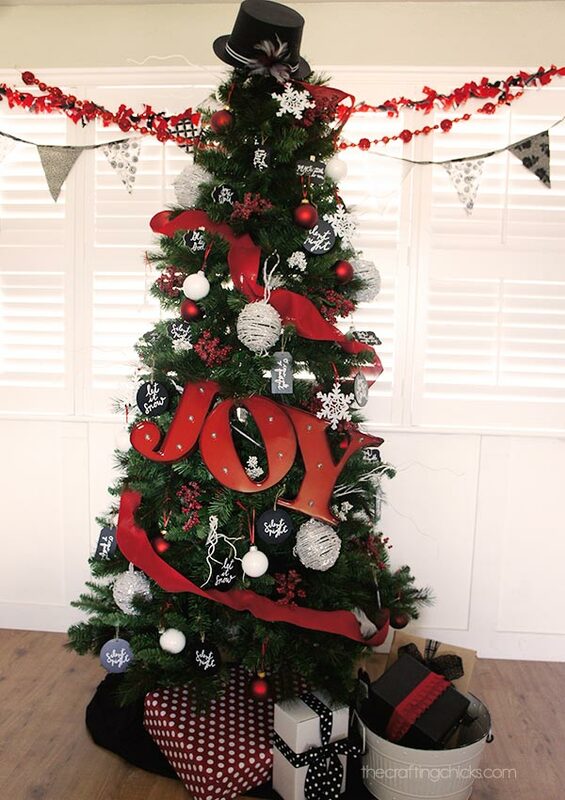 Check out this gorgeous Red, White, and Black Michael’s Dream Tree Reveal! 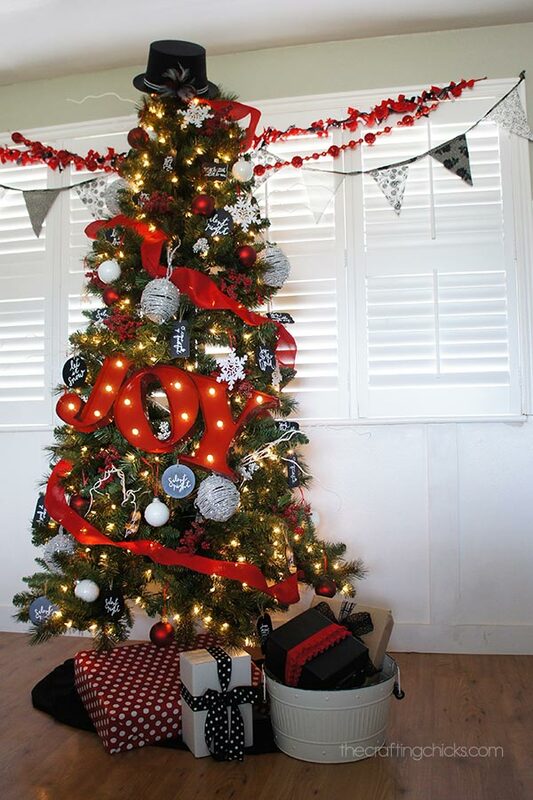 Everything on the tree, including the tree, came from Michael’s. 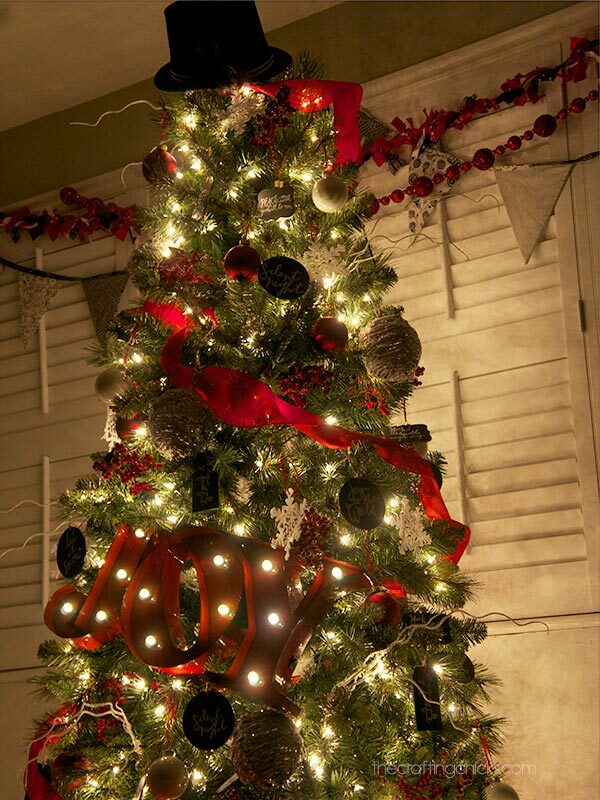 From Nov. 2 to Nov. 8 head into Michael’s for the Make it Merry Tree Event – save 50% off all trees 6 ft. or taller! 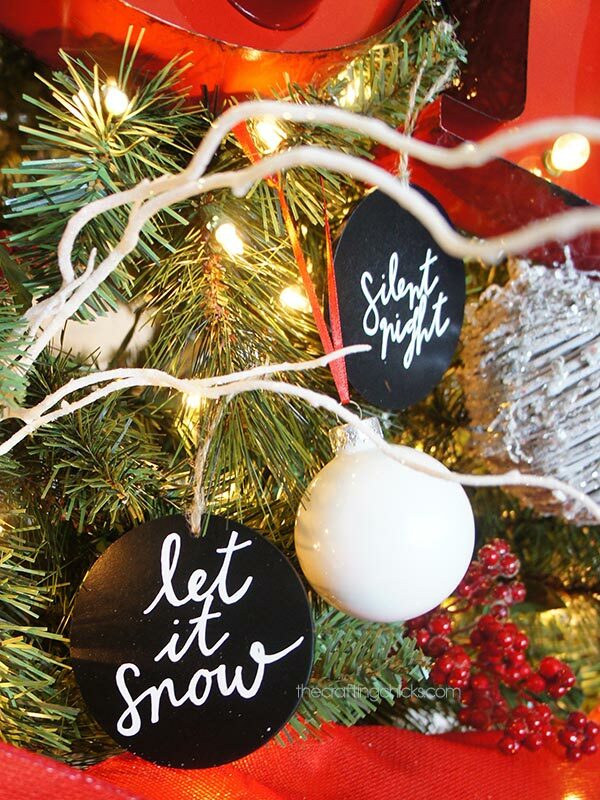 The chalkboard ornaments are my favorite part of the tree. First, I’m in love with white writing on black. And second, my sister has awesome handwriting and she wrote the song titles with a sharpie and I was able to convert them to a file type that could be cut out of vinyl using my Cricut Explore. And tada! 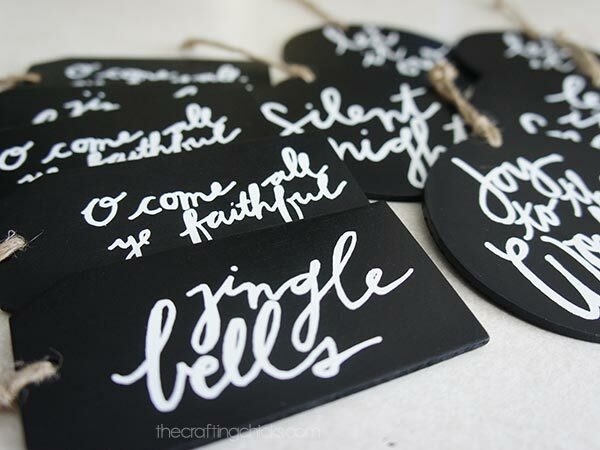 Hand lettered ornaments. I used different shapes and sizes. The black doesn’t show very well on a green tree, but the white letters sure pop. 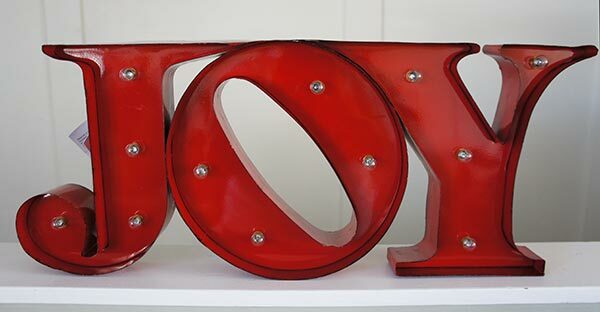 This JOY sign was love at first sight. It’s battery powered so there are no cords to worry about, which makes it great for a tree, but would be awesome on a shelf or top of a piano. I may have bought all that our Michael’s had in stock. It is definitely the focal point of this tree. A huge advantage this artificial tree had over our (Charlie Brown) real trees is the ability to tuck berries and twigs into the branches and they stay in place. And another convenience was being able to bend and twist branches in place. All lit up and glowing! So I’m curious, do you put up a live tree or an artificial tree? any tricks to get the JOY sign to turn on? I bought one at our michael’s store, but batteries are in properly and it still doesn’t turn on. Ironically, I bought two and neither does so I wonder if I am doing something wrong?